Fairview Cemetery and Chapel in Tuxedo, Texaswas founded in 1890 when John Page Free was buried in December 1890. There are over a 1000 interments with a few being laid to rest in the last fifteen years. Currently the cemetery and church is maintained by the Fairview Cemetery Association. The association has an annual meeting each year and recently held their 124th a few years ago. 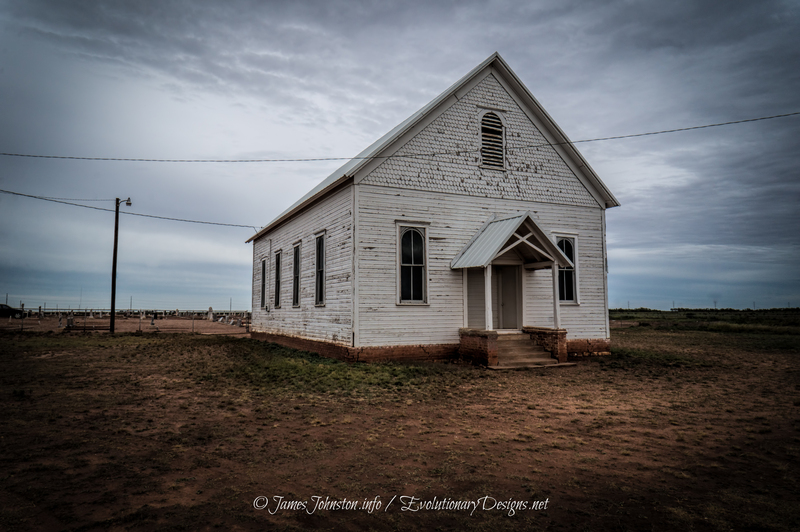 The church and cemetery is located between Anson, Texas and Tuxedo, Texas. Its two Miles South of Tuxedo, Jones Co., TX. on a small paved road at FM-1661 and CR-146. 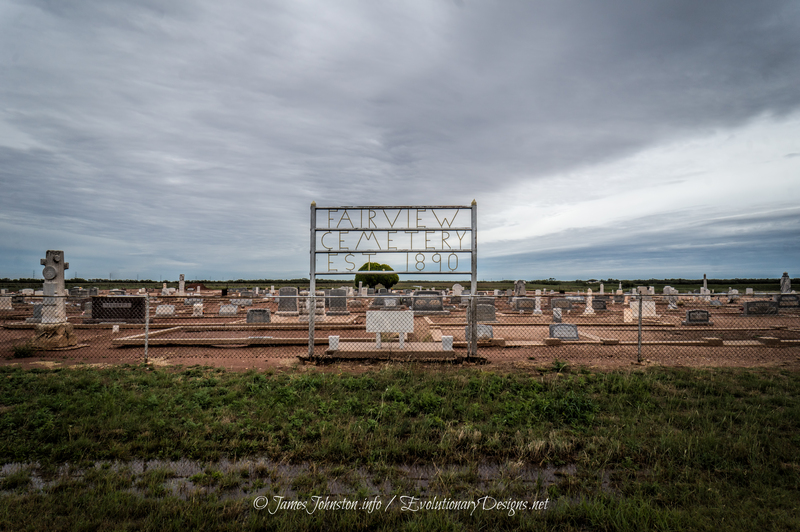 During my week in West Texas, one of my stops was the Fairview Cemetery and Chapel in Tuxedo, Texas. When I stopped at the cemetery it was my first time seeing a cemetery without grass covering the graves. The entire cemetery, church, and land around the church was surround with red Texas dirt. I didn’t spend much time exploring the graves since it had just finished raining. And the more you walk in the red mud, the more it sticks to your boots making it almost impossible to walk. As for the chapel itself, its being maintained. The exterior needs a little paint. The interior is simple and dusty. I couldn’t find much information about the church and cemetery. If anyone has more information and history of the old church, please contact us through our contact form, Facebook page or comment section below. I would like to add more information and images to the article. We recently came into some information about the church and cemetery from a local. We are currently going through this material and will be adding that information soon. Back in August 2018 Sarah Thornbury contacted me about the church and cemetery. She game me a lot of information about the church, cemetery, the town of Tuxedo, and a few stories that knows of. More information to be added soon. Thanks so much for the information! Please Note: This article was originally posted on my personal blog in July 11, 2015 and the visit/photos of the cemetery and chapel in November 2014. This article was then posted to VanishingTexas.com on March 12th, 2016. VanishingTexas.com is no longer affiliated with us. All content from that site is slowly being migrated and updated to this site. This article was recently updated and will continue to be updated and new information is found. The images were shot by hand in the middle of the afternoon between the storms with my Sony Nex-3N and a Sony SEL16F28 16mm f/2.8. I then edited the image in Adobe Lightroom. Next, I post processed with Topaz Clarity to add texture, brighten, and bring out the details in the image. Then I removed the dust spots. Finally, I used Topaz DeNoise to remove the noise from the image.